India’s ambitions are not only limited to the Ballistic Missile test but it is also planning to develop a sea based version of Agni VI. India’s Defence Research and Development Organization (DRDO) revealed in 2012 that it is also in the process of developing another variant of Agni-VI missile. This will be a submarine-launched solid-fuel missile with a maximum range of 6,000 kilometers and a payload of three tons. Moreover, Agni-VI will be a four-stage ICBM and it is expected to have Multiple Independently Targetable Reentry Vehicle (MIRV) as well as Maneuverable Reentry Vehicle (MaRV) – once the process of hardware development is completed. However due to maneuverable warheads, the range of the missile may extend. Considering the no-first use nuclear doctrine that India follows, apparently it is trying to fill the gaps in the anti-Missile defense shield. In fact, India is developing a nuclear missile shield which clearly reveals the offensive nature of Indian defence posture. This is not merely an effort to achieve the objective of credible minimum deterrence but an intentional effort to become regional hegemon. Such highly sophisticated missile technology is reinforcing India’s capability and one must not ignore India’s aggressive ambitions of Fissile Material stockpiling. India already has K4 and K15 Sea-based missiles, for the SSBN. DRDO often claims to build the missile with striking range of 10, 000 Km to compete with DF31A of Chinese missile having the range of 11,200 Km. 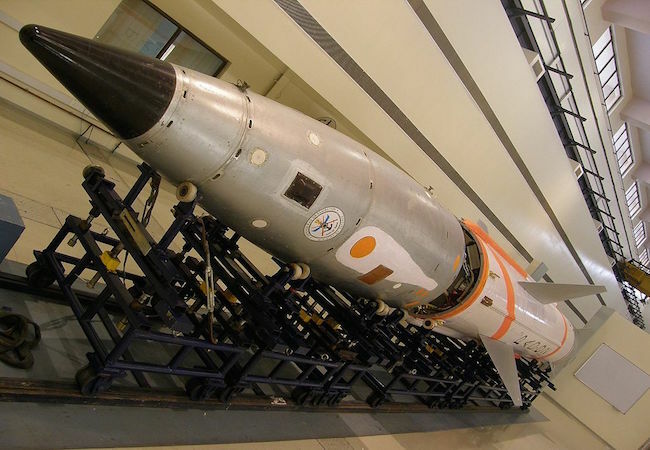 Indian BMD system is leading towards a dangerous dimension in the South Asian nuclear environment that slowly but surely leads to an arms race between the South Asian nuclear powers. As far as the strategic implications of Indian missile defence system are concerned, the advancement in the Agni series will not only disrupt equilibrium of deterrence equation but strategic stability of South Asia. India’s non-stop efforts are to enhance its military power in order to seek military parity with China but this will only upraise the rivalry between the two nuclear-armed rivals-India and Pakistan. The region, where strategic environment is already very complex, vulnerable and volatile, a country like India is a source of instability. Moreover it also raises questions on the nonproliferation efforts as well. India on one side claims to hold a good record for proliferation but simultaneously it is increasing the arms buildup on a very large scale, leaving a big question mark on the global efforts of arms control and disarmament. Although India claims to follow the nuclear doctrine of credible minimum deterrence however it is moving towards more than a credible deterrence. It has an aggressive force posture moving from counterforce to counter value, eventually leading towards nuclear arms proliferation. Subsequently, India’s continuous arms buildup and quest for nuclear triad will hamper the security situation of the neighboring countries like Pakistan and China. Agni 1, II, and III were specifically Pakistan oriented but the recent test of Agni V has brought China’s northernmost parts within the striking range of India along with most of Europe and Africa. It has also raised security implications for China as well because the major cities of China easily fall within the radius of Agni V.
The international community, to reinforce the arms control regimes, should take measures to counter India’s increasing military spending and nuclearization. Since Pakistan is the regional protagonist and share the deep rooted hostility with India, therefore Pakistan is concerned with these changing dynamics or missile build-up. India’s missile tests are hampering the security environment. Therefore, Pakistan should bring on board all the states parties to non-proliferations regimes to discourage the arms race.